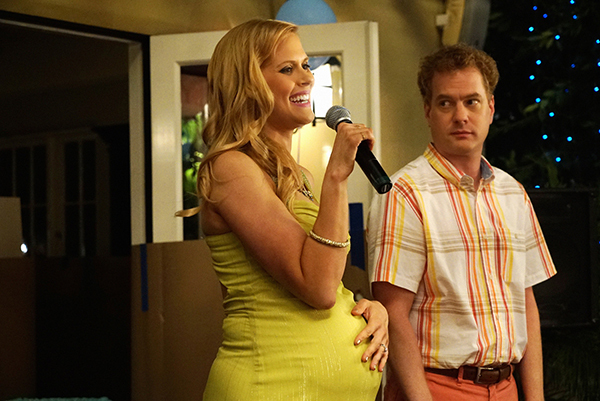 You’ve seen Janet Varney in memorable roles like Becca Barbara in You’re the Worst and Carly in Burning Love. And you’ve heard her voice as the titular Korra in The Legend of Korra. But her acting career almost didn’t come to be. It was only after her friends convinced her to join their comedy troupe in San Francisco that she strayed away from her more sensible plan of becoming an architect or interior designer. We recently talked to Varney about founding SF Sketchfest, running around in a pregnancy pad and four-inch stilettos in You’re the Worst and her humble beginnings as “Party Girl” in Catwoman.